Two contentious issues – the way the Federal Government is managing the separatist group, Indigenous People of Biafra (IPOB) and how the National Assembly will tackle budget delays- will engage senators as they return to the red chamber today. The propriety or otherwise of declaring the Indigenous People of Biafra (IPOB) a terrorist group by the Federal Government will be part of issues to engage Senate’s attention as it resumes from its nine-week recess today (Tuesday). Chairman of the Senate Committee on Public Petitions, Sam Anyanwu, whose committee had in the past investigated many contentious issues, told The Guardian yesterday that the alleged human rights abuses which resulted from the encounter between soldiers and members of IPOB would not be overlooked by the Upper Chamber. He believed that the military went beyond its bounds to have meted out what he described as most inhuman treatment to the agitators. 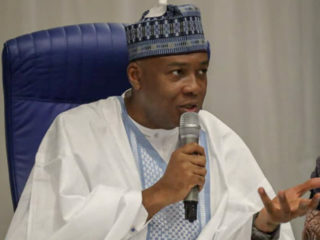 Senate President, Bukola Saraki, after declaring as unconstitutional the proscription of IPOB and tagging it a terrorist group, hinted last week that the Senate would investigate the military operation in the Southeast to identify who were involved in the alleged abuse of professionalism that had attracted so much criticism. “I want to also make it clear that the National Assembly intends to embark on a fact-finding investigation aimed at determining what actually happened during the period of the military exercise in the Southeast. “We want to be able to sift the facts from the fiction and determine who did what. It is quite clear that all the facts are not yet known. We assure Nigerians that there will be no cover up. We intend to lay the facts bare,” Saraki had said. It was also confirmed that the Senate leadership has been meeting with critical stakeholders in the brewing crisis like the South East Caucus in the National Assembly as well as the Northern Senators Forum to ensure that debate on the matter does not worsen the issue at hand. The consultation between the leadership and the Northern and South East Caucus was said to have been informed by the need to get lawmakers across all divides to embrace peaceful disposition particularly in their utterances as the Senate re-opens plenary session. According to sources, Saraki also used the opportunity of the zonal meetings to clarify his statement against the manner in which IPOB was pronounced proscribed by the Southeast Governors as well as the way it was tagged a terrorist group by the army. 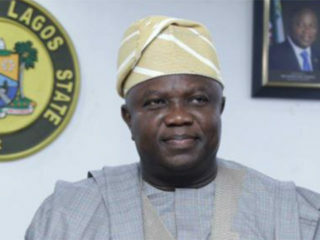 The Senate President’s statement has however attracted criticism from some lawmakers in both chambers of the National Assembly. Ado-Doguwa said, “I am sure the Senate President was only expressing his personal opinion, which I further believe was not a good one in the given circumstances. The Nigerian Armed forces in my opinion are doing their best professionally and in the best interest of a united Nigeria. Even the Southeastern state governors have declared the activities of Kanu’s IPOB as illegal and therefore proscribed. He (Senate President) can’t cry more than the bereaved. Also, a lawmaker representing Plateau South Senatorial District, Senator Jeremiah Useni, who is a retired Lieutenant General, supported the military operation and alleged that IPOB members were terrorists. Another Senator, Sheu Sani of Kaduna Central said he was in support of those who opposed Saraki in the House of Representatives. However, the message of peace from the Senate leadership has reflected in the declaration of the Southeast Senators Forum, which reiterated its commitment to unity, and oneness of Nigeria. The forum however called on President Muhammadu Buhari to address the knotty issues that gave rise to agitations in the zone. The Southeast lawmakers cited alleged marginalisation of‎ the zone in federal appointments as well as citing of key capital projects in the country. Rising from a meeting, which ended in the early ours of Wednesday last week, the lawmakers affirmed their support for the unity of Nigeria anchored on justice, equality and fair treatment for all parts of the country. 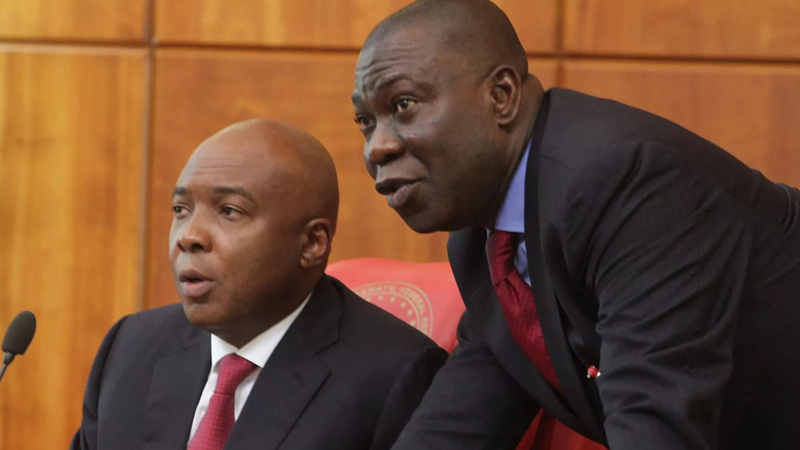 The Caucus, spearheaded by the Deputy President of the Senate, Ike Ekweremadu and the leader of Southeast Caucus in the National Assembly, Eyinnaya Abaribe, however called on the leadership and members of IPOB to cease fire, to enable them explore political solutions to the face-off. “We call on IPOB to suspend all its activities as we engage our colleagues in the National Assembly and work with them in addressing all issues of concern to IPOB in particular and the entire Southeast in general. Before a Federal High Court granted an order brought by the Federal Government declaring IPOB a terrorist group last week, many Senators were said to have protested to the Senate leadership against the handling of the matter by government. The Senate had earlier drew attention to the brazen violation of the Terrorism Prevention Act by the Army in declaring IPOB a terrorist group. It specifically drew attention to the procedures for branding a group or an association as a terrorist group as spelt out in the Act and submitted that the Army completely ignored these procedures in the case of IPOB. According to section two of that Act, the Procedures for declaring an organization a terrorist group entails that a procedure that would involve the security organisations and the judiciary must be observed. But when the Federal Government eventually exploited the provisions of the law and obtained a court order to get IPOB tagged a terrorist group, suspicion was said to be growing among some lawmakers about the alleged role of Saraki who they believed advised the Attorney General to that effect. MEANWHILE, a fresh crisis regarding the implementation of the 2017 budget and the slow preparation for the 2018 budget is brewing between the executive arm of government and the National Assembly. Many lawmakers believe that the Presidency is yet to correct itself on the issue of late preparation of annual budget, a development that they argued had always put the National Assembly under undue pressure from the public. Chairman of the Senate Committee on Appropriation, Danjuma Goje, who has been an advocate of early submission of budgets proposals by the President to the National Assembly, lamented that the problems of early budget had affected many development projects. Like what happened in previous years, concerns have started mounting over the likelihood of another late submission of budget proposal by the executive particularly on account of the delay in the submission of the Medium Term Expenditure Framework (MTEF) to the National Assembly. By law, the MTEF document was supposed to have been submitted for approval at the end of August 2017, in line with the four months to the end of the financial year requirement stipulated in the Fiscal Responsibility Act. Another member of the Appropriation Committee, in lamenting the absence of the MTEF, provided explanations on the merits and objectives of the Framework. “Common sense dictates that we cannot continue to do the same thing year in, year out and expect a different result. 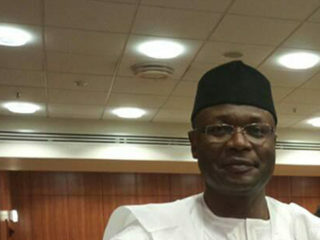 The Minister of Finance is required by Section II of the Fiscal Responsibility Act 2007 to prepare the Medium Term Expenditure Framework (MTEF) and the Fiscal Strategy Paper for approval by the Federal Executive Council and the National Assembly, ahead of the presentation of the budget for the following year. These two documents provide the basis for the annual budget planning. They contain a macro-economic framework that indicates revenue and expenditure estimates. The documents also provide underlying assumptions for the projections, evaluation and analysis of the previous year’s budget and overview of consolidated debt and potential fiscal risk,” he said.